Nevoia de miniaturizare i-a impins pe electronisti sa creeze opere de arta. 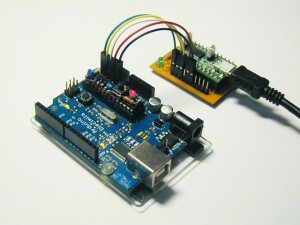 The circuit of LilyPad arduino is mounted on the DIP of ATmega88. 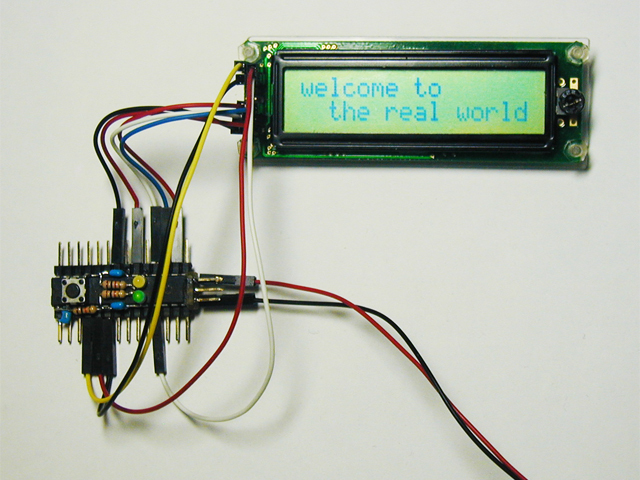 There are Reset-SW,Skech loading pin-header and LED of D13. Doesn’t put ICSP pin-header because there is no space. Cost is less than 500yen($5). Source code of bootloader for the ATmega88 which is made by Mr. bird.dip.jp. And recompiled it with clock 8MHz. Writing the sketch uses an USB-Serial converter. It used „One Chip Arduino”, LCD and RTC. A breadboard can still afford. I made DIP a flat by force to hold down height. 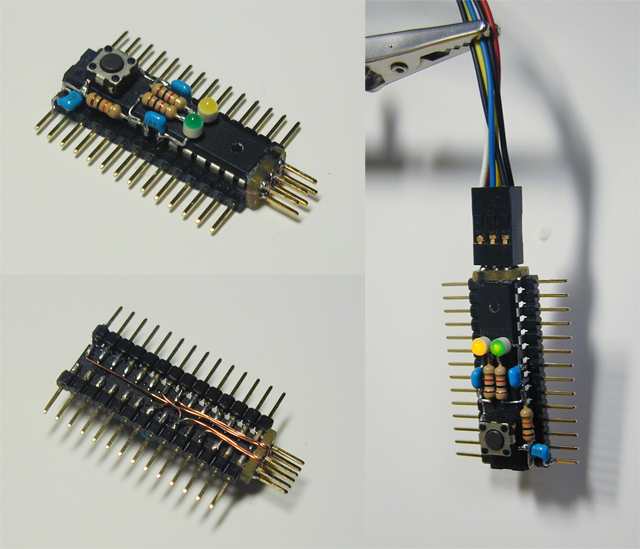 And added the pin-header of ICSP. 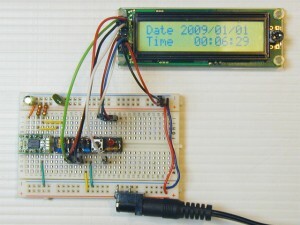 Connected LCD. And display „those words”. 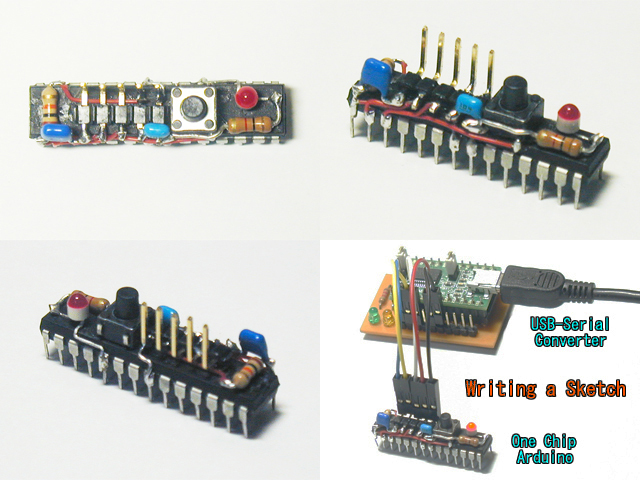 „One Chip Arduino” which I made as a joke. But, when I use it in a breadboard it is useful because mount area is so small.